Good ice climbing on the South Face. Mixed climbing on West Face. 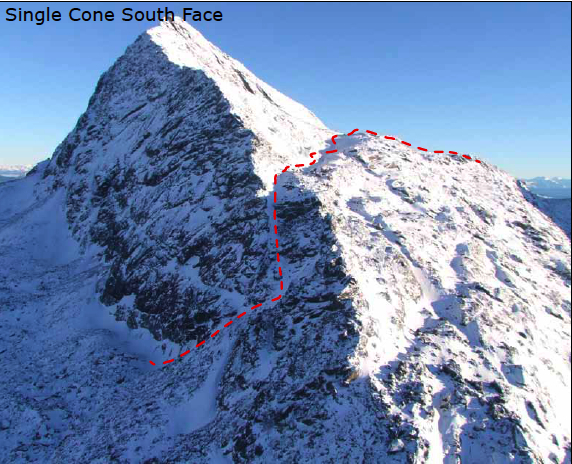 The face itself is trapezoidal in shape and varies in height from 150m at its eastern end, rising to nearly 300m below the summit of Single Cone. 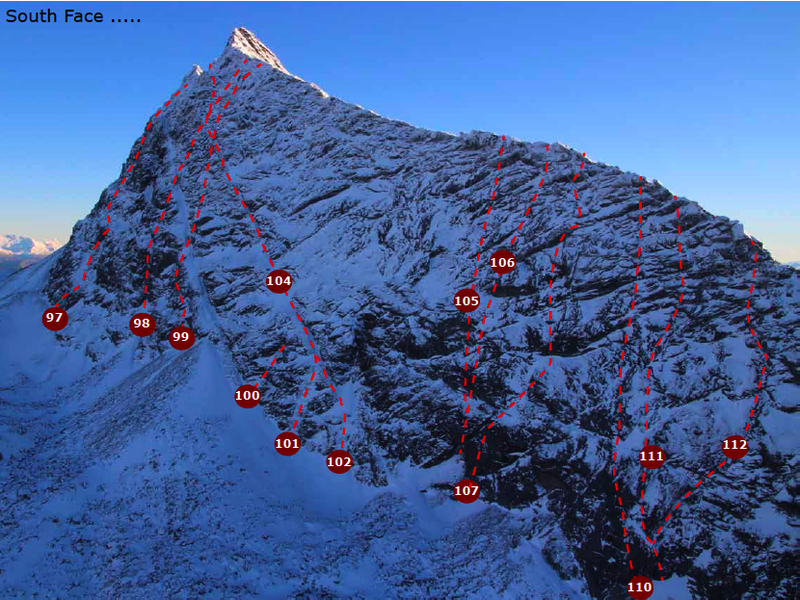 All of the climbs that top out on face have an easy walk off back across to Wye Saddle. 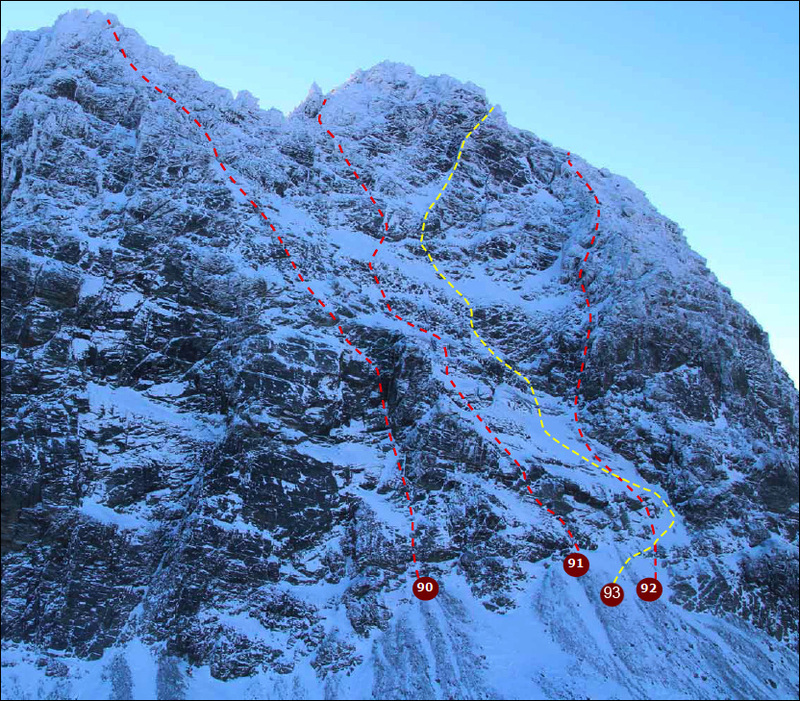 Note that in general the existing routes which have only been assigned a numeric rock climbing grade are yet to receive a winter ascent. Some material extracted from "REMARKABLES ICE & MIXED FESTIVAL ICE & MIXED GUIDE," 2012. Edited and posted with permission.